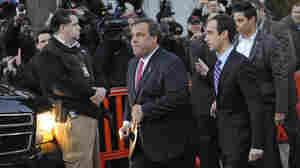 February 3, 2014  The comments are Christie's first since the Jan. 9 news conference in which said he was "embarrassed and humiliated" that his aides punished the mayor of Fort Lee by closing lanes that lead to the George Washington Bridge. 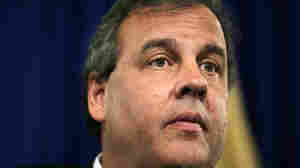 Christie reiterated that he knew nothing about the lane closures. 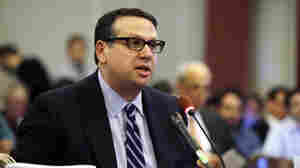 February 2, 2014  An email sent to donors and journalists says accusations by former aide David Wildstein have been misrepresented. February 1, 2014  Patrick Murray, the director of the Monmouth University Polling Institute, tells Weekend Edition Saturday that the latest allegations up the ante on the deepening scandal. 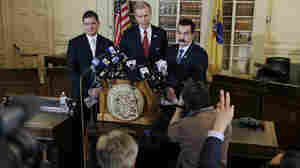 January 31, 2014  The official says there's evidence that the New Jersey governor knew about politically motivated lane closures as they were happening. January 20, 2014  Lt. Gov. Kim Guadagno calls the accusation by Hoboken Mayor Dawn Zimmer "false" and "illogical." 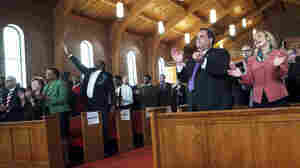 The latest flap comes as Gov. 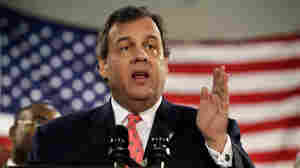 Chris Christie's administration is embroiled in a scandal over the politically motivated closure of bridge lanes. 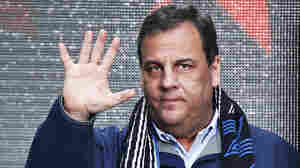 January 14, 2014  The New Jersey governor's State of the State speech Tuesday will be overshadowed by the scandal surrounding lane closures on the nation's busiest bridge.